I got this email from a reader a couple months ago and was reminded of it when I stumbled across some old race photos recently. I saw your photo on your blog post called Washboard Abs on a High-Fat Diet, No Ab Workouts and No Cardio  and it got me wondering what you looked like as an endurance athlete when you were younger. Did you look like a typical long distance runner with hardly any muscle mass to speak of? You’ve noted that you used to eat a high-carb diet. How, if at all, do you think this played into your body composition at the time? Also, do you have any photos to share?! Did you at any time in your life ever up your calorie intake to get bigger? Since you were a marathon runner, I am guessing that you were not very large. Was it a clean bulk or did you simply adopt a primal-esque diet as the muscle slowly packed on? Also, what advice would you give to scrawny guys that wish to have nothing more than a light athletic build like Bruce Lee or Zac Efron? In the coming weeks, we’ll be looking more into the question of just what constitutes “ideal body composition.” It’s a broad philosophical discussion that often pits genetics against lifestyle, body-building against functional strength, and even health against fitness. I thought today I might open by using the above questions to analyze my own changes over the years and explain how I got to where I am today. I was a distance runner from the age of 13 until about 28. During that time, I had a typical high-carb diet (1000+ grams of carbs most days) which I burned off every day. Even though I also consumed large amounts of protein and I lifted weights as part of my training, I just couldn’t keep much upper body mass. Chronic cardio  does that; it’s catabolic and sugar-driven. The signals I gave my genes from running 70-100 miles a week created the body-composition I wound up with. I raced at 142 pounds (actually a little heavy for a 5’10” marathoner) and 7% body fat, but was still over twenty pounds lighter than I am today. For grins, here’s a picture of me finishing the Boston Marathon in 1974. Typical body-type of a marathoner, but very lacking in muscle mass. 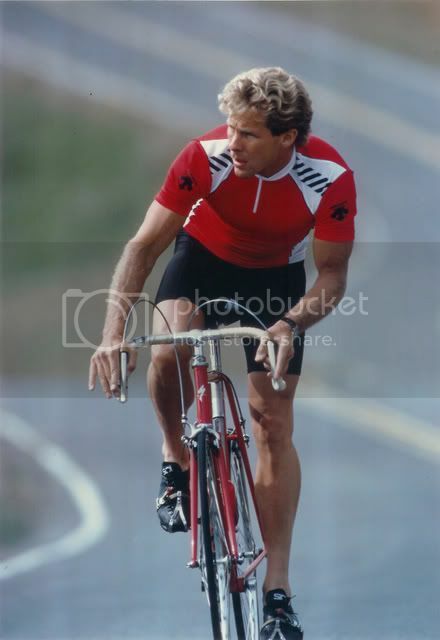 A series of classic overuse injuries forced me to retire from running at the elite level in 1980 and I found myself doing triathlons for a few years. 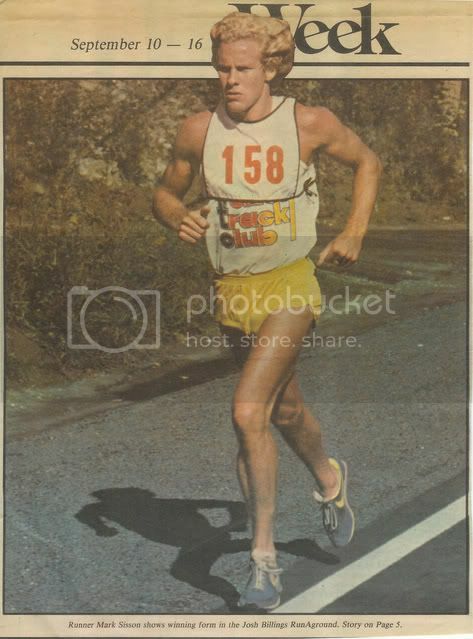 I raced Ironman Hawaii (4th place overall in 1982) at 152 pounds. Running less, but swimming and cycling more allowed me to put ten more pounds of muscle on my legs, chest and shoulders (different gene signals ). I was still at 7-8% body fat then, and I still needed tons of carbs (mostly from grains ) to fuel the beast. 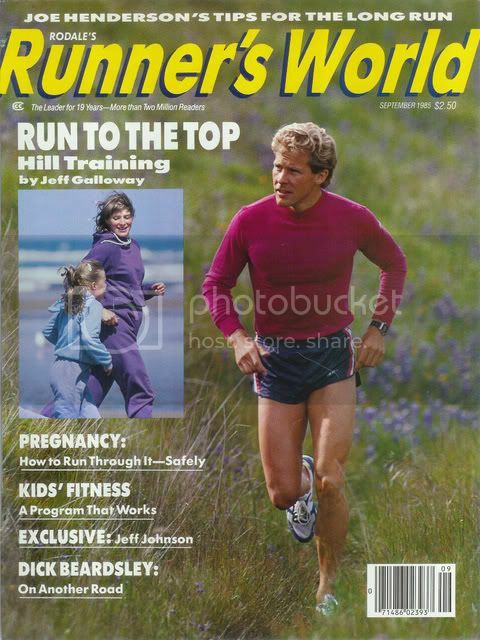 Here’s a Runner’s World  cover I did in 1986 at that weight. A little more upper body, but still not much. I retired from all competition after I won my age-group in the 1988 Desert Princess Duathlon World Championships. My wife Carrie and I were about to get married. She and I had met at a gym so I knew she was into fitness. We did a photo shoot for Triathlete Magazine  in January 1989 – almost 20 years ago to the day. Sorry about the neon Speedo – it was the 80’s. Shortly thereafter, I completely revamped both my eating style and my exercise style. I cut way back on cardio and increased the intensity of my strength-training (as did Carrie). I also cut way back on carbs and increased protein and fat . Eventually I eliminated grains altogether (as has Carrie). Here we are last year in Cabo – nearly twenty years later. She won’t mind my saying that she’s now 53, and I’m 55 (52 and 54 in the photo below). Based on the gene signals (I call it “gene reprogramming” in the book ) we have been generating from our diet  and exercise styles, we are both at the same or lower body fat than we were 20 years ago when we were both doing far more cardio and both eating the Conventional Wisdom high-complex-carb diet! Today I weigh 164 and still carry around 8% body fat, so I have maybe 16 pounds more muscle than I did when I was a marathoner. I have tried on several occasions to increase my muscle mass  through a focused program of more intense weight-training and more copius eating. But I’m what we call a “hardgainer ”. The most I was ever able to weigh was 169. That extra five pounds of muscle was not only difficult to achieve (and still keep body fat low) it was almost impossible to retain. I had to eat way more (and more often) than I intuitively wanted to and couldn’t skip more than a few hard workouts or I’d start to lose the muscle. I also couldn’t play hard without burning it up. I realized that this was a totally non-Primal pursuit. The Primal Blueprint is about finding your own personal optimum body composition by eating and moving like Grok. It’s about functional strength and power-to-weight ratios – not excessive body fat, but also not excessive and “expensive to maintain” muscles. It’s about arriving at a comfortable lean mass  that reflects the signals you have given your genes. In my case, at 55 years old, I just want to have fun, be able to move well and stay healthy. I said when I turned 40 that “I no longer want to be fit. I just want to look fit.” But the reality is that I work out now mostly to be able to play. I stay flexible enough to play golf (OK, not well). 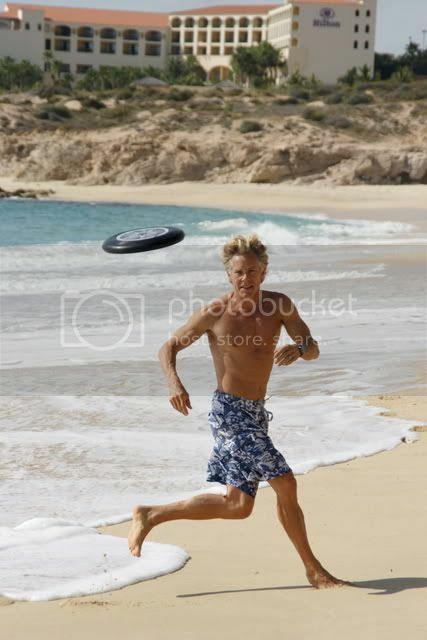 I sprint  once a week and do leg work to be able to snowboard five days in a row or to dash for the long bomb in my weekend Ultimate Frisbee  games. I do upper body work to be able to go out for two hours on a stand-up paddle surfboard. I hike because it’s play (not work), but if I decide to start running a trail, I can. So, I guess I am fit. There’s another important consideration. I don’t want to get injured . Trying to pack on extra muscles that supersede your ideal body composition can invite injury. Muscles don’t get bigger unless you add more stress. It takes a lot more work for someone like me, who’s already been lifting “heavy” for 30 years to start upping it a notch. I hit a personal record on the bench press two years ago and am still paying for it with a rotator cuff issue. From here on in, I don’t want to have to sit on the sideline. Finally, from a health and longevity perspective, the less I can eat and still maintain functional composition (Primal Fitness) the better. Because my high-fat, moderate protein, low carb diet  has the effect of decreasing hunger and appetite , I naturally eat less than I would have in the old carb days. But since I also don’t work out as much, I maintain the muscle mass  I do have on what many might consider a Spartan diet. Of course, the only “proven” strategy for increased lifespan is calorie-restriction , so that’s an added benefit of going for the Bruce Lee look versus the Hulk Hogan look. It just feels better.